Traditionally we have connected computers to display devices using VGA (15pin D-type) connectors. Audio, if required, was connected through RCA phono or 3.5mm mini-jack. This is still very common and indeed many laptops/notebooks currently only provide this option. Over the years, image resolution has been increasing and as a result we are able to display crystal clear graphical content and razor sharp presentations. 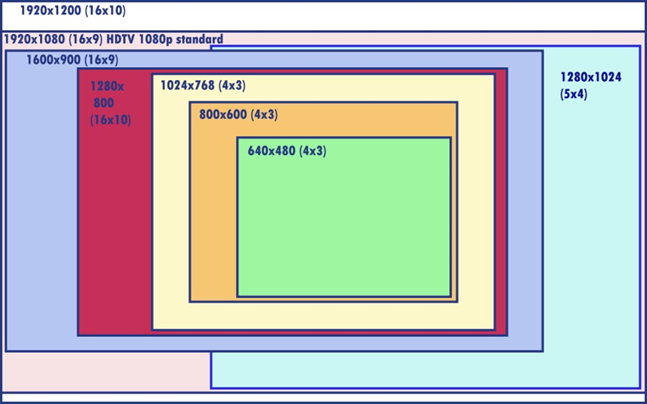 As resolution has increased, the shape of our content has moved from traditional ‘square’ 4:3 to widescreen HDTV 16:9. The newest offering for best quality video is HDMI (high-definition multimedia interface). HDMI sends picture & audio down one cable and can deliver higher resolution ‘High Definition’ signal to a HD display. With tablets, portable devices and Smartphones omnipresent, wireless connectivity is becoming more common. Wireless presentation devices can be attached to displays which allow you to wirelessly connect one or multiple devices to a single display. This technology should be well tested in advance of any event and some tablet device functionality may be limited. Wired HDMI signal is typically limited to 15 mtr. Cables, however, signal can be distributed over much larger cable runs using video processors. what type of content you are displaying? what ‘source equipment ‘ or devices are you using, i.e. Macbook, blu-ray player, laptop, ipad, tablet etc. How far away is the display going to be from the source? Are you using any video processing equipment? Is wireless connectivity an option or requirement? If you have any questions about AV connectivity we are always happy to advise, call us on 01 4133892 to speak to an AV expert today.